Nothing is hotter this fall than silver on a bright background. 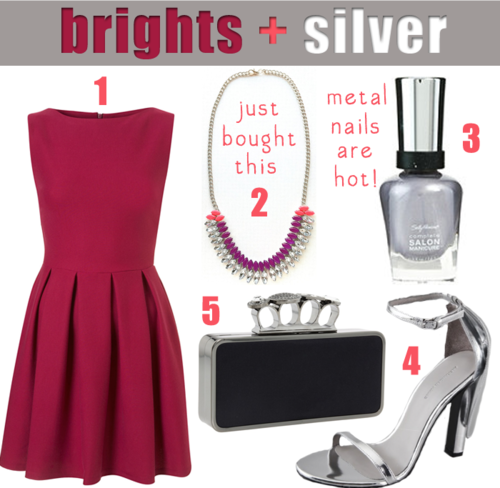 Pick a form-fitting high-necked dress with a bold statement necklace and downplay with silver accessories and metal nail polish. Incredible party outfit.